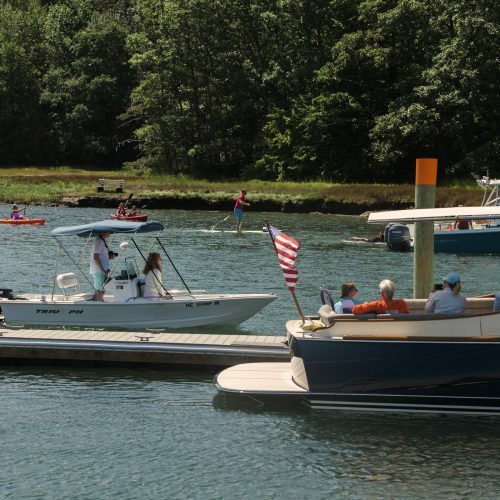 Kennebunkport is a destination worthy of its own special trip and for nearly 50 years Chicks Marina has been the name synonymous with boating on the Kennebunk River. 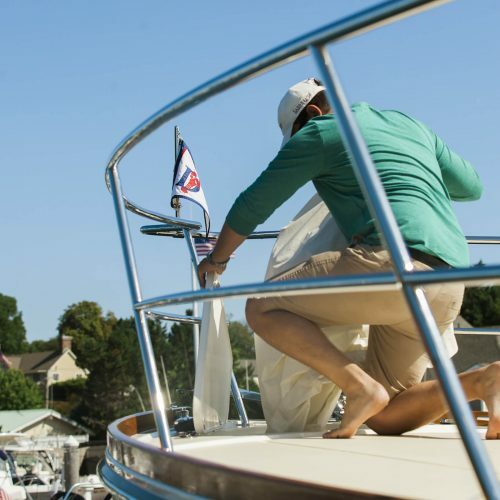 Founded by local boat building icon, Booth Chick, and owned and operated by the Katz family for over 30 seasons, Chicks Marina’s goal is to provide you with the highest level of service from the moment you make your reservation until the time you depart. 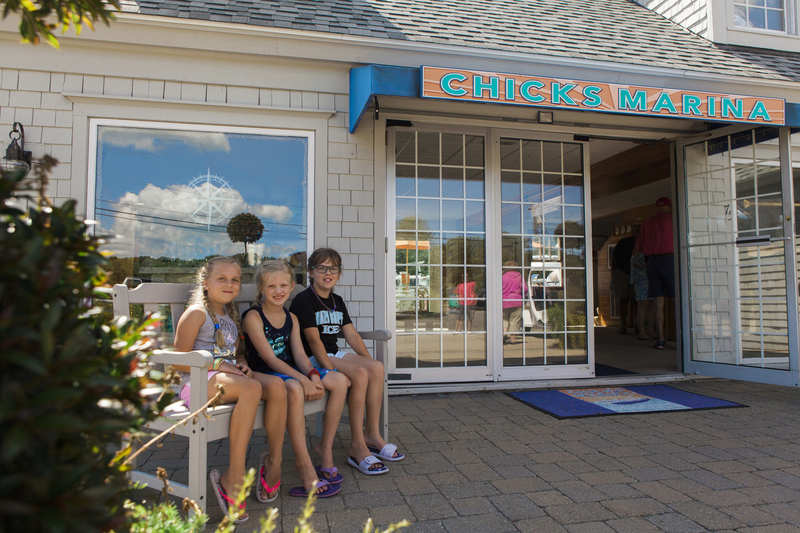 Chicks is located just a short walk from Dock Square, the center of Kennebunkport’s historic seaport community. While in town you will find unique shops, galleries and other attractions. 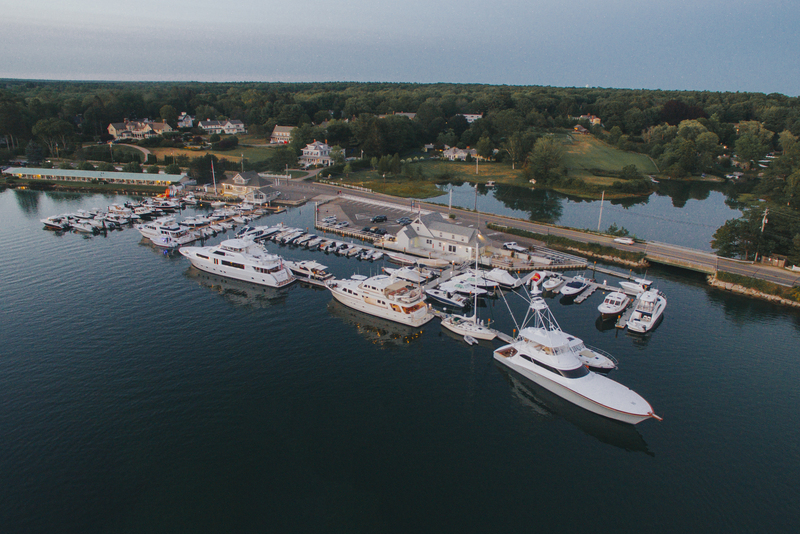 There are dozens of restaurants within a short distance from the marina as well as a variety of nearby sandy beaches. 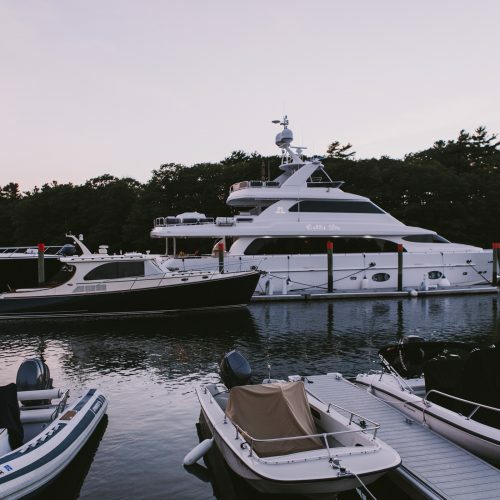 Our first-class facilities are the finest in Maine and are continuously upgraded to ensure that your stay will be a safe, pleasant and memorable one. 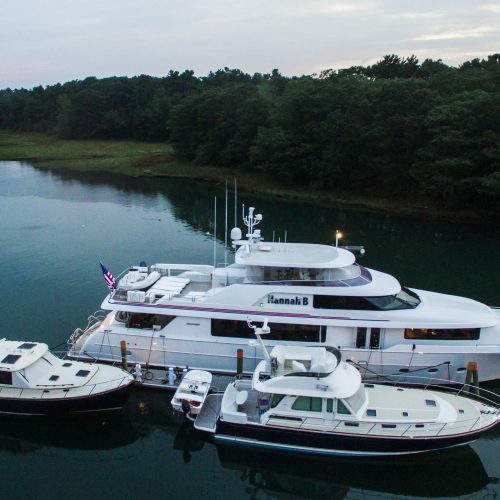 Chicks offers Transient Dockage, Seasonal Slips and Heated Indoor Winter Storage. Chicks’ floating dock and piling system was completely replaced only a few seasons ago, with upgraded electrical (30/50/100 amp) and water systems. The large open face dock and slips are dredged to 7 feet at MLW comfortably accommodate vessels up to 165 feet. 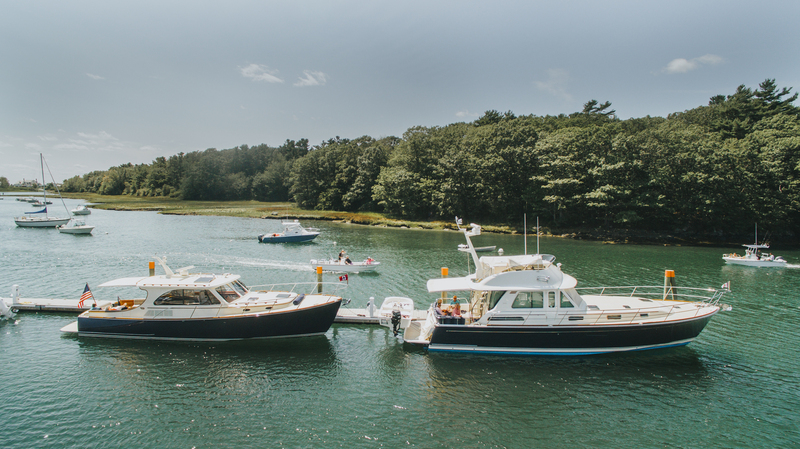 Chicks is the only marina in the Kennebunkport area to offer 91 Octane gasoline and ultra-low sulfur diesel fuel. 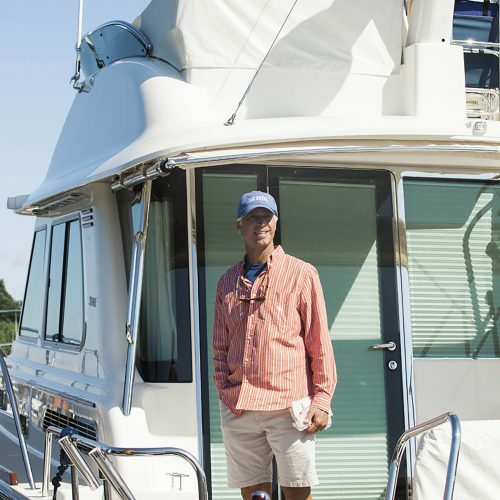 Most boats can be conveniently refueled while in their own slip. 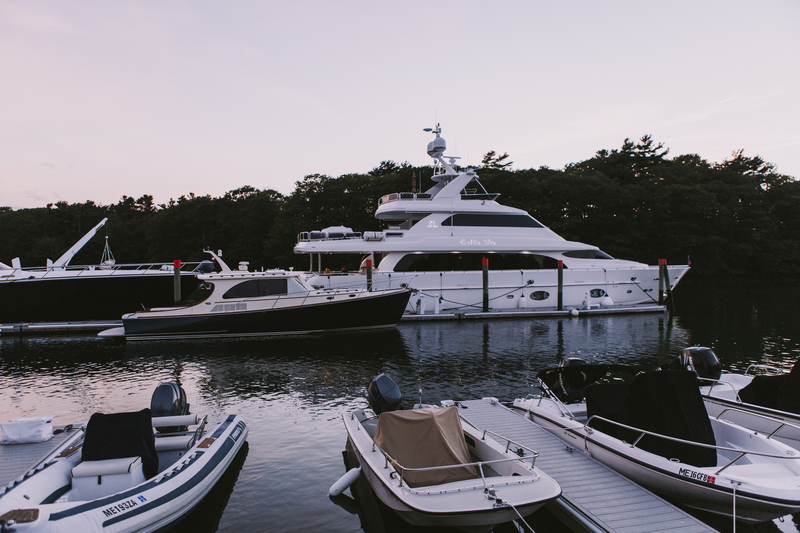 Fuel discounts are available for Bulk Purchases, Seasonal Slip Holders and Indoor Winter Storage Vessels. 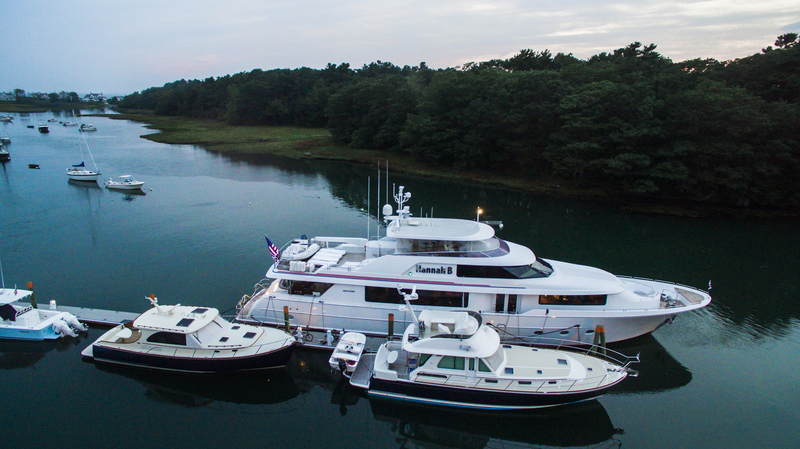 Please inquire with Marina Manager, Charlotte for pricing details. 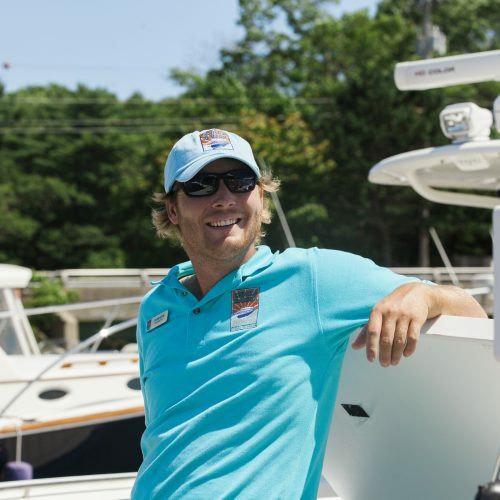 The Chicks Marina staff are at your service to arrange a variety of concierge services including restaurant reservations, car rentals, boat washing, repairs, general maintenance and diving work. 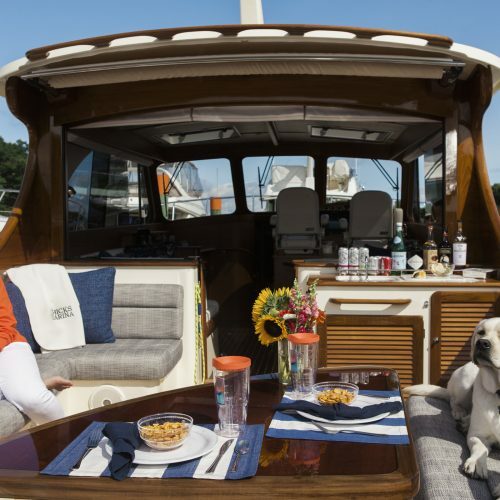 During your stay we encourage you to enjoy the use of our sundeck and patio complete with Adirondack chairs, picnic benches, sun umbrellas and gas grills. There is also comfortable seating in our indoor lounge area. Full bathrooms with showers and laundry facilities are also located on site. 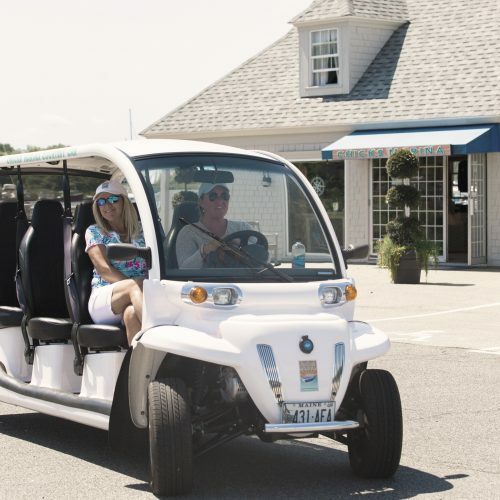 Our complimentary 6-passenger electric GEM vehicle is available to shuttle you around town or to local beaches. And speaking of complimentary, your stay includes free coffee and baked goods each morning and cookies and other treats each afternoon. 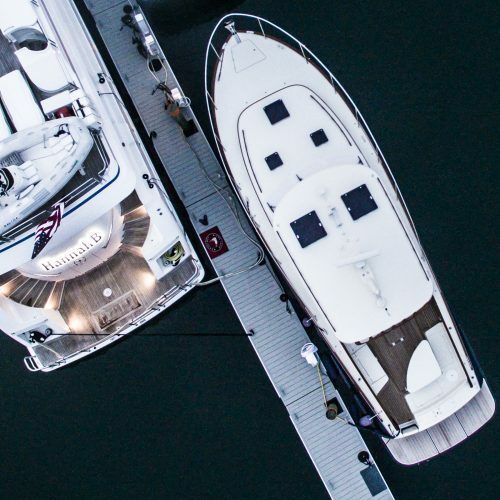 All lengths are measured in actual linear footage; this includes pulpits, bow sprits, swim platform, attached dinghies and tenders, and outboard engines. There is a 30-foot minimum charge. The full amount of your reservation is required as a deposit to secure a slip for the dates requested. This deposit amount is refundable only if cancellation notice is provided at least 30 days prior to your scheduled arrival date. A $50.00 administrative fee will be deducted from all returned payments. Please note: No cancellations are allowed after June 1st. If you must cancel after June 1st, for whatever reason, then the entire deposit will be forfeited. Before you submit your reservation request, please be sure to read and understand our Payment, Cancellation and Refund Policy. No Reservation is valid until you receive a formal confirmation email. 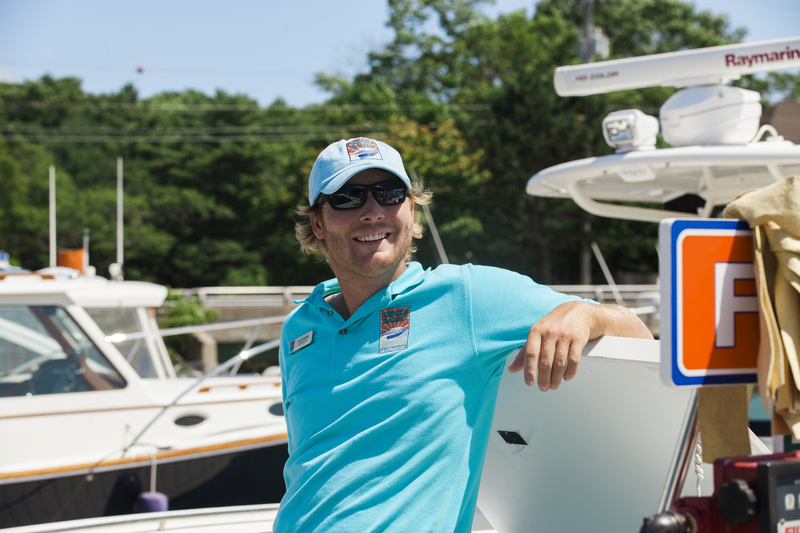 Our staff at Chicks Marina is happy to provide our guests with reservation assistance. 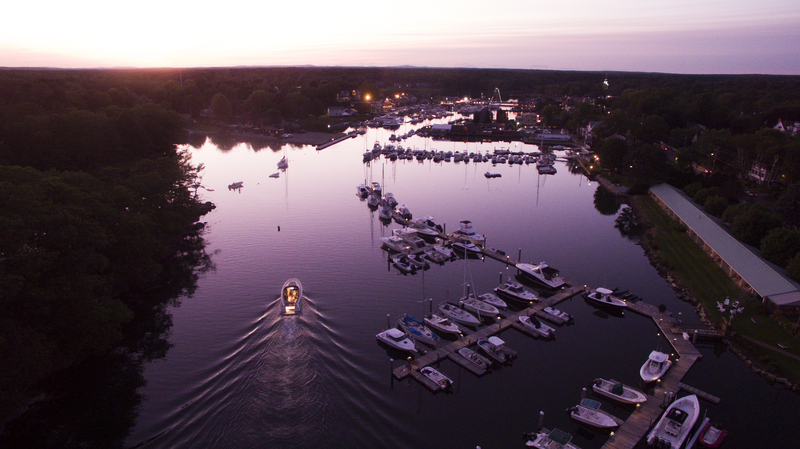 Be it a car rental, taxi service, dinner reservations, sunset sailing cruises, kayak, stand-up paddle board, motor scooter or bicycle rentals. Our friendly staff is always glad to assist you with their local knowledge. Golf, tennis, hotel and spa facilities are also nearby. 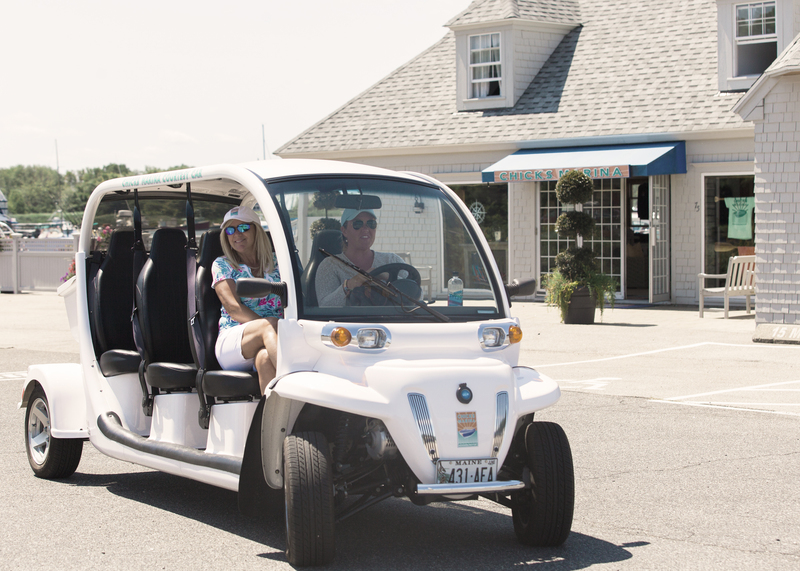 We are pleased to provide complimentary, local transportation for marina guests in our 6-passenger electric GEM vehicle. 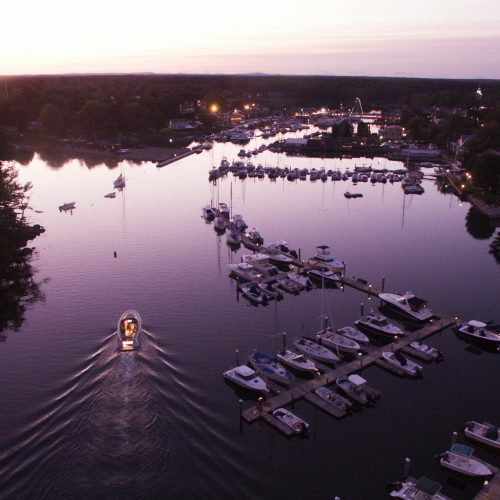 Our drivers offer round-trip service for trips to town for anything from provisioning to dinner reservations. 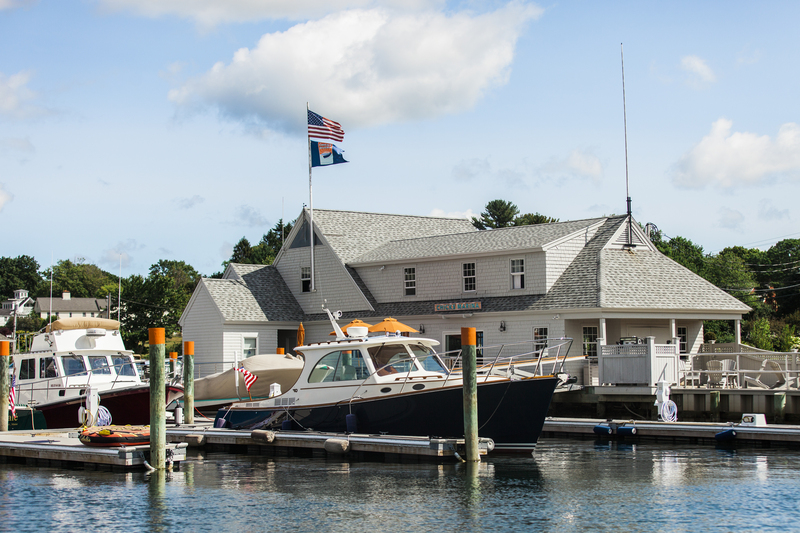 Please contact Charlotte, our marina manager, at reservations@chicksmarina.com or at (207) 967-2782 for assistance with reservations. 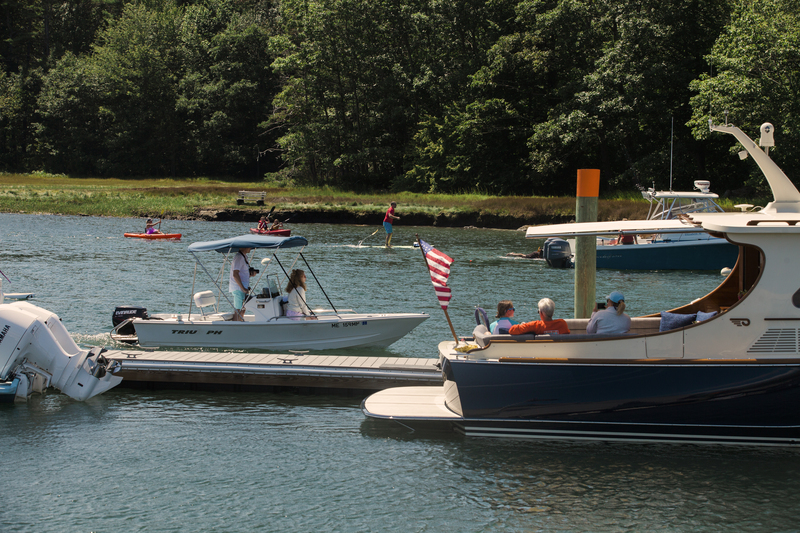 We look forward to your visit with us this summer! 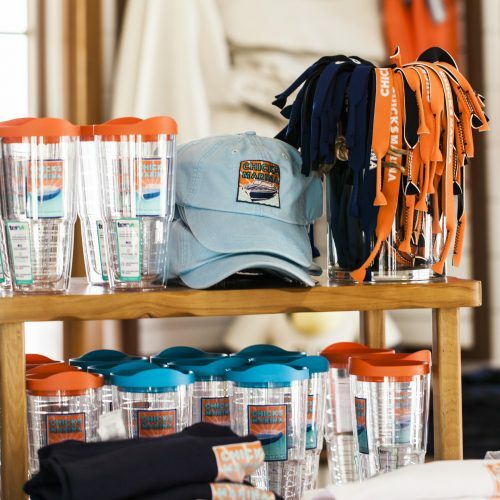 Our Ship Store sells a variety of Chicks’ branded apparel including Adams Cap hats and Helly Hansen clothing as well as quality marine supplies, cold drinks, block and cube ice. 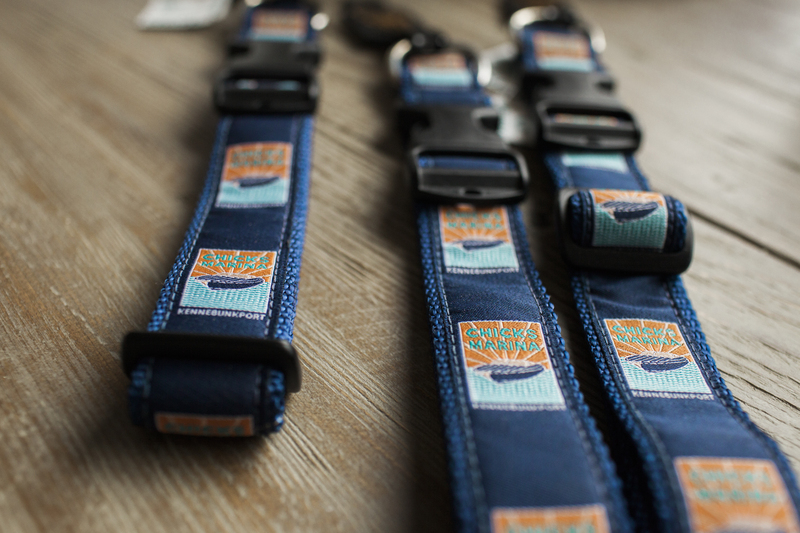 Starting this summer, we will also have a line of customized dog accessories, as well as life jackets for your furry friend. 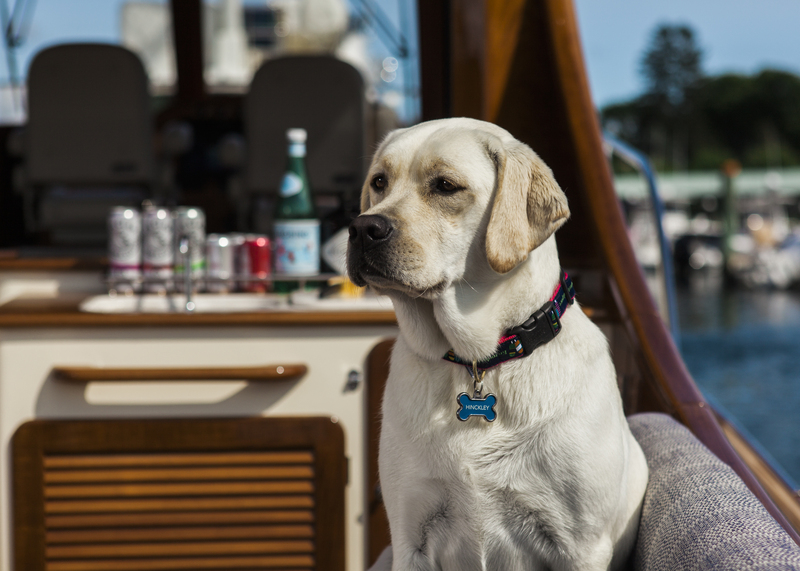 Chicks Marina is dog friendly! Expect to be greeted by one of our staff’s furry family members! 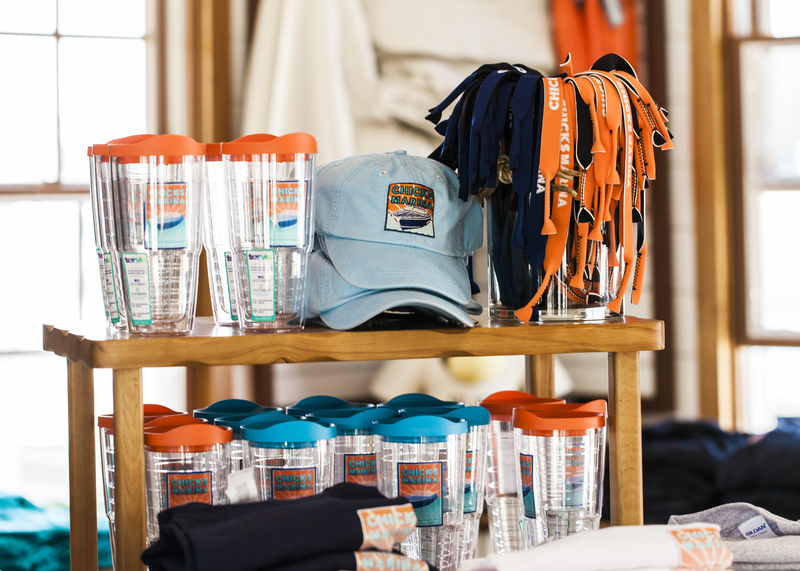 Please feel free to join us with your four-legged friend at our Salty Dog Station watering hole and be sure to stop in for treats for your pal at our Front Desk. 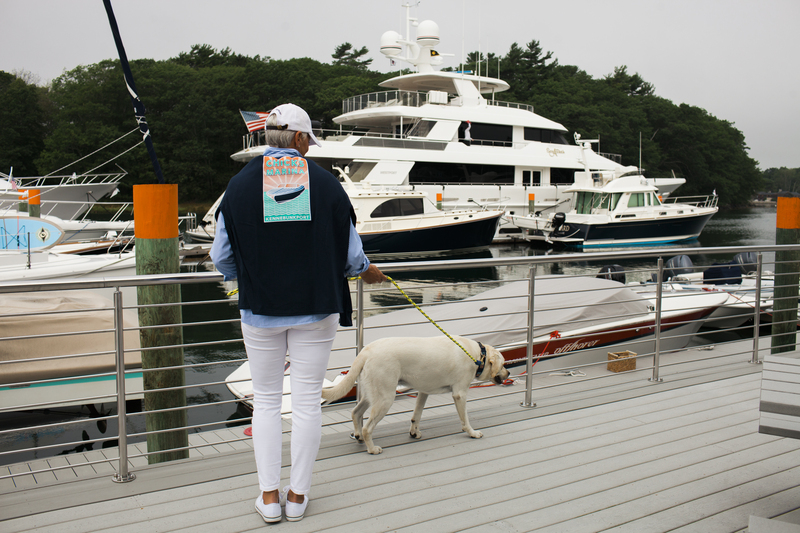 We do ask that you keep your pet leashed, in accordance with Kennebunkport leash laws. 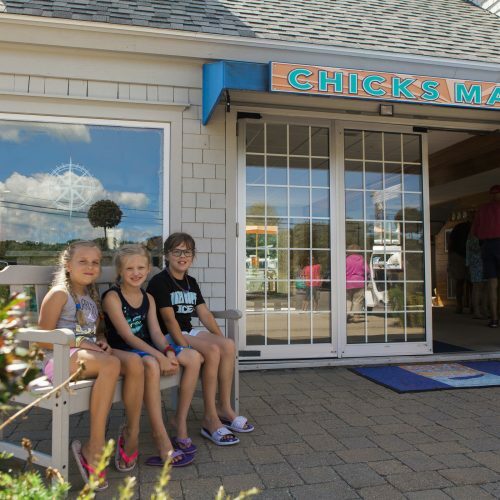 Chicks Marina offers Indoor Winter Storage in our 11,200 SF secure and heated storage facility on Log Cabin Road in Kennebunkport. We recommend applying to reserve your spot as soon as possible as space is in high demand. 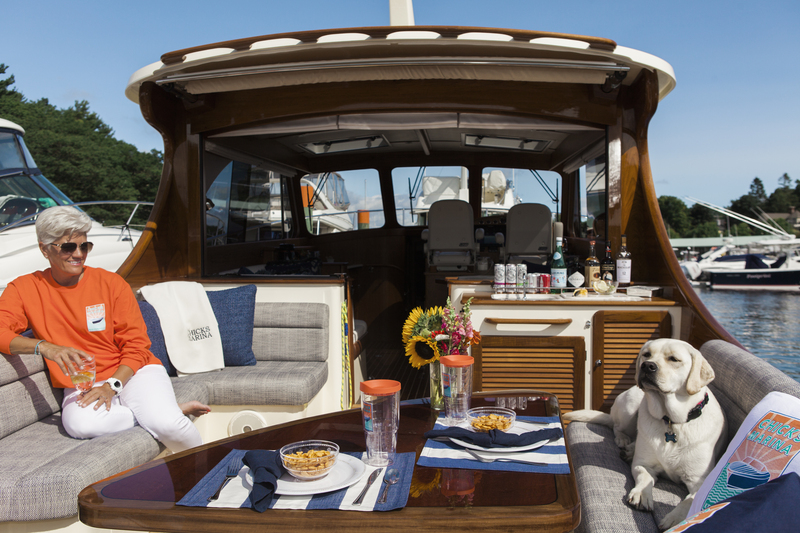 All Indoor Winter Storage vessels receive a 25 cent per gallon fuel discount in the summer season following storage. Customers may not perform work inside the building. 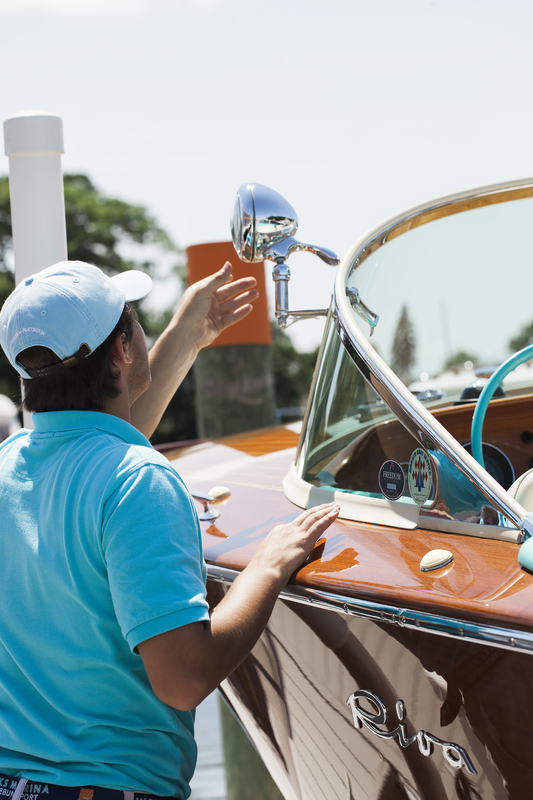 We offer a Full Service List of maintenance work that may be contracted through the marina. 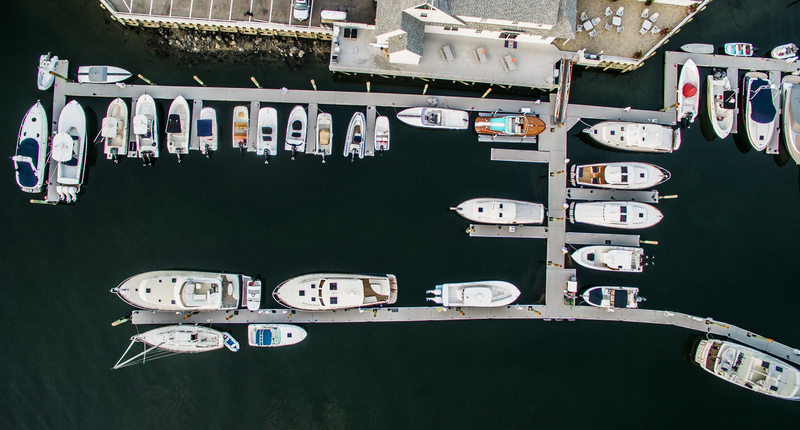 Please see our Marina Manager, Charlotte for pricing details. 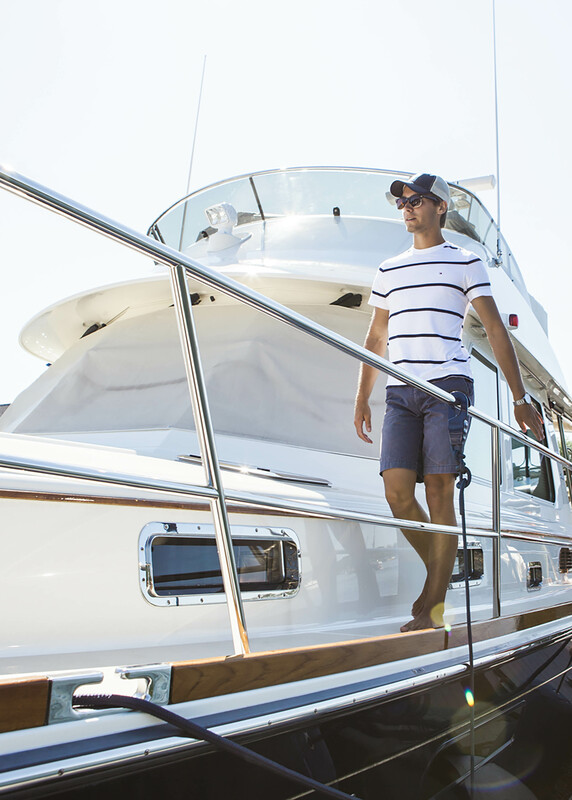 * Rates are based upon length overall of the vessel and balance is due in full before haul-out. 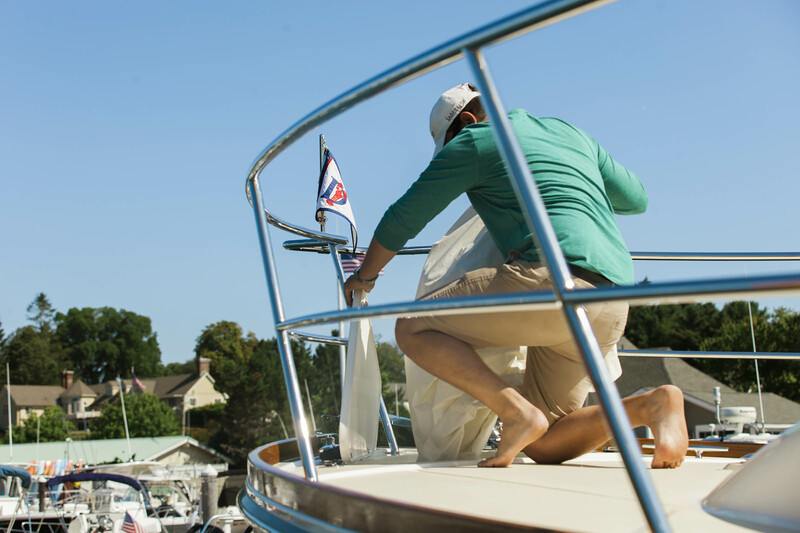 Services included in our Winter Storage rates include: haul-out, launch, set down, jack stands, and blocking. Please complete the information requested below so that we may provide you with the best possible service. 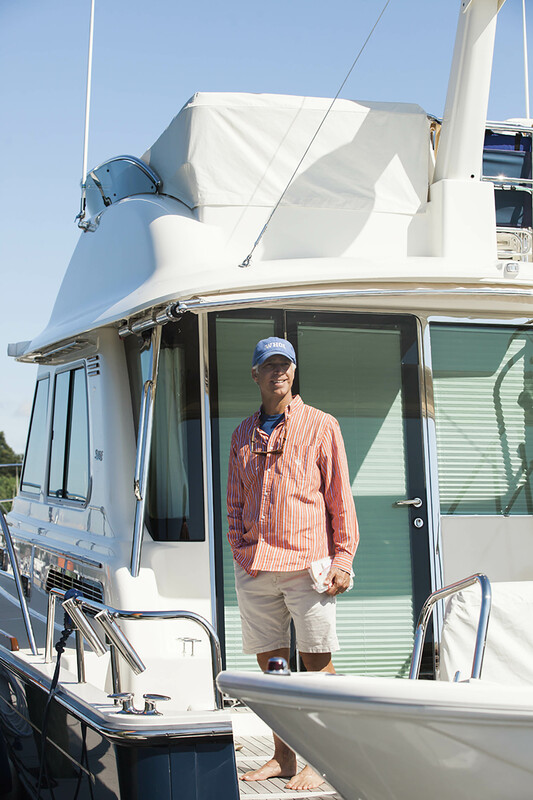 Thank you for requesting a reservation at Chicks Marina. We look forward to your visit with us this summer.